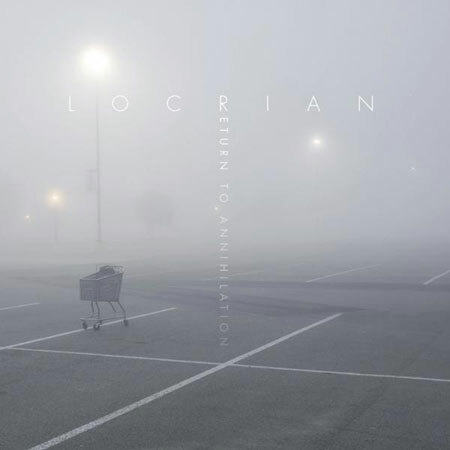 Esoteric, experimental artisan’s LOCRIAN have revealed the details behind their highly anticipated Relapse Records full-length debut entitled Return To Annihilation. The album was recorded by Greg Norman (Pelican, Russian, Circles, Serena Maneesh) at Steve Albini’s Electrical Audio Studios in Chicago, IL and mastered by Jason Ward at Chicago Mastering Service. The album will be released as CD, 2xLP, and digital formats on June 25th in North America, June 21st in Germany, Austria, Switzerland, Benelux, and Finland, and June 24th in the UK and rest of the world. A two-part concept album inspired by the band’s love for prog-rock progenitors Genesis, Yes & King Crimson, Return To Annihilation is sure to be the group’s most ambitious recordings to date. A trailer featuring a snippet of new music is available for viewing here while the cover art and pre-orders are available via this location. A tracklisting is listed below. I think for the album concept we were inspired by Genesis’ “Lamb Lies Down on Broadway” and how it is a surreal narrative telling a story. We sought to make our own but we wanted to give our nod to the prog bands that inspired us; King Crimson or Yes with the multi-part songs. So we had looked at the novel “Dhalgren” by sci-fi writer Samuel Delaney as a big influence too. How it is a circular narrative, ours is more of a mirror of itself, one that changes and shifts. It also borrows extensively from Walter Benjamin’s “Arcades Project”. Our story is about a cataclysm that changes the world and all manner of perception in two parts. I would say, the real and the perceived. And it is all told to you through a narrator, one who you cannot tell if he is asleep or dreaming or sleepwalking through this shifting landscape. Part 1 begins at the end of a song whose lyrics discuss a dawn in which all of our monuments dissolved, the next track the wrath of heaven (a massive cataclysm) visits earth, then two moons appear in the sky (perhaps the most direct reference to Delaney’s novel but also an homage to Nick Drake). It ends with the first multi-part track “Return to Annihilation”, a more metaphysical description of the changes apparent in the world. One in which minerals work against man, there is only evolution. We also gain insight into that what we’ve been told may be unreliable as the narrator admits to “noctambulism” (sleepwalking). But it is intentionally unclear if this is his state or the state of everyone. Part 2 is a view back through this mirror or lens of Part 1. We exit the hall or vapor and light and enter a “panorama of mirror, the entire world as reflection. It ends with a four part piece about worshiping equilibrium in a world where it has been extinct (isostasy), discussing the qualities of the air that is now poisoned, witnessing the burial of urns (hydriotaphia) and finally awaking to awareness. One of the things we wanted to accomplish was a sense of texture with mirrors, prisms, lenses, etc. being referenced in the sounds and tone. I think it does. 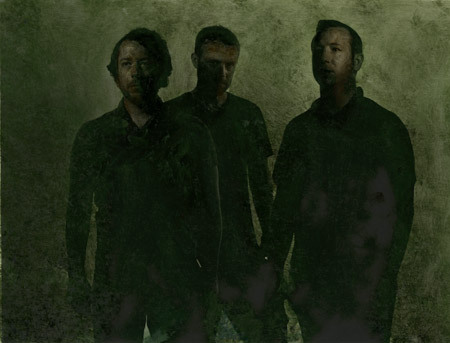 LOCRIAN, located in Chicago, IL and Baltimore, MD, has released over 20 recordings on an eclectic array of labels in their relatively short but prolific career, including a recent reissue of The Clearing / The Final Epoch and New Dominions, a split with label-mates Horseback. The Clearing / The Final Epoch can be found streaming at this location while New Dominions is available for streaming here.